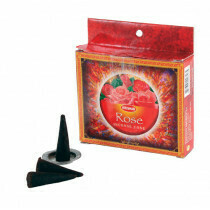 Here you will find over 60 types of incense! If you are looking for a nice fragrance, then this is the place to be. We have rods, cones and combination packagings. We also have beautiful incense holders and boxes. So buy all your incense online at Grasscompany.com. The largest supplier of incense, straight from India!